This statistic displays the number of companies in the food manufacturing industry in the Netherlands in 2018, by sector. In 2018, there were 6,460 companies producing food in the Netherlands. 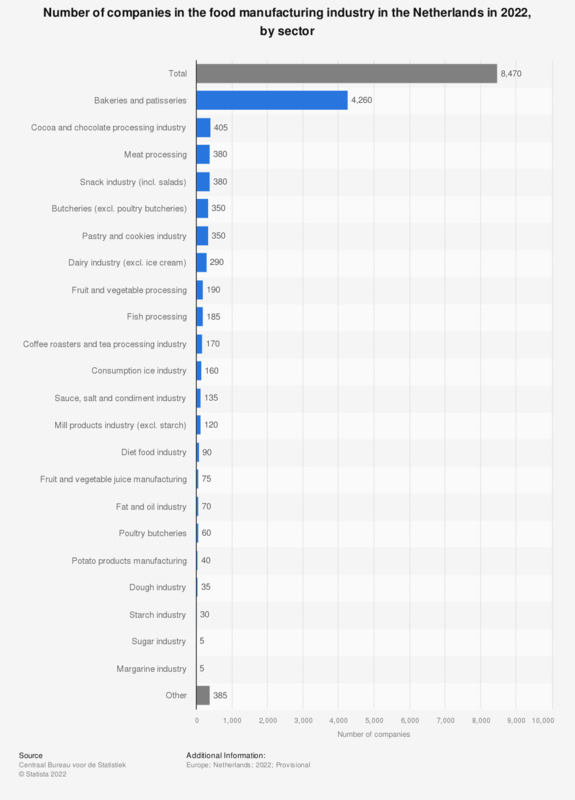 Of these companies, over 3,600 were bakeries and patisseries, making it the largest subsector in the food manufacturing industry in the Netherlands. Furthermore, there were 305 companies producing meat products. According to you, in the past three years, which of the following food categories were more innovative?